We’re here for overworked Activity Directors, Lifestyle Social Directors, Fund Raisers and Organizations looking for help to coordinate and plan those Special Events and Excursions. Unique Tours, Niche-Themed Programs, History, Edu-tainment and Interaction at special locations, along with trending tours throughout Florida and beyond! Airport & Cruise Port Pick-up and Drop-off Services. We can pick you up, drop you off, and even provide a fun, enriching group tour experience to make great use of your layover time. Tour Experiences to suit many tastes and interests. — Florida historic and cultural sights – whether you live here or are visiting, so much to see and do! 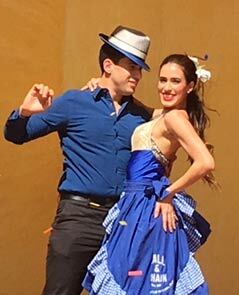 — Little Havana Guided Walking Tours – Artists, food, and the story of Cubans coming to Miami! 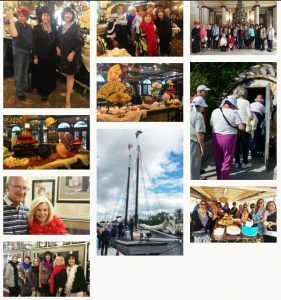 — Biltmore Hotel, Vizcaya, Charles Deering Estate and more! — Museums galore! Modern art, traditional works, sculpture, gardens … whatever you fancy! — Scenic Biscayne Bay Cruise – narrated sail with vistas of gleaming skyscrapers and magnificent homes. — Miami Beach Art Deco Scene – see these architectural gems and learn their history! — Miami Criminal Intent Tour – where the criminal element hung out and did their dastardly deeds! — Key West – winter home to Hemingway and Truman, as well as Jimmy Buffett’s colorful “Parrot Heads”. — Navy Seals Museum – beautiful tribute to the Seals in Stuart, FL — Loggerhead Marinelife Center – learn about these gentle creatures as they are treated for eventual release. How about a Sailing Adventure! — Ft. Lauderdale Water Taxi – cruise the waterways with expert narration about the city’s history and homes. — Schooner Lily – sail the waters of Ft. Pierce aboard a historic, renovated schooner (limited to 35 people). — Everglades Airboats – narrated sail through the sawgrass with views of birds … and maybe alligators! Shopping! Sawgrass Mills Outlet Center! Miami Bayside! Palm Beach Worth Avenue! Merrick Place, Vero Beach Outlets, and lots more! Dining – South Florida is home to cuisines from all over the globe … Cuban, Mexican, Spanish, Creole, French, Italian, Mediterranean, Middle Eastern, Indian … too many to mention … and of course, good old American! We can schedule a brunch, lunch or dinner for your group to suit your taste! That’s not all! How about adding a night or two or more! We can take you to St. Augustine, Naples, St. Petersburg, Ft. Myers, Mt. Dora, Lake Placid, Orlando, Savannah, New Orleans … so many choices!